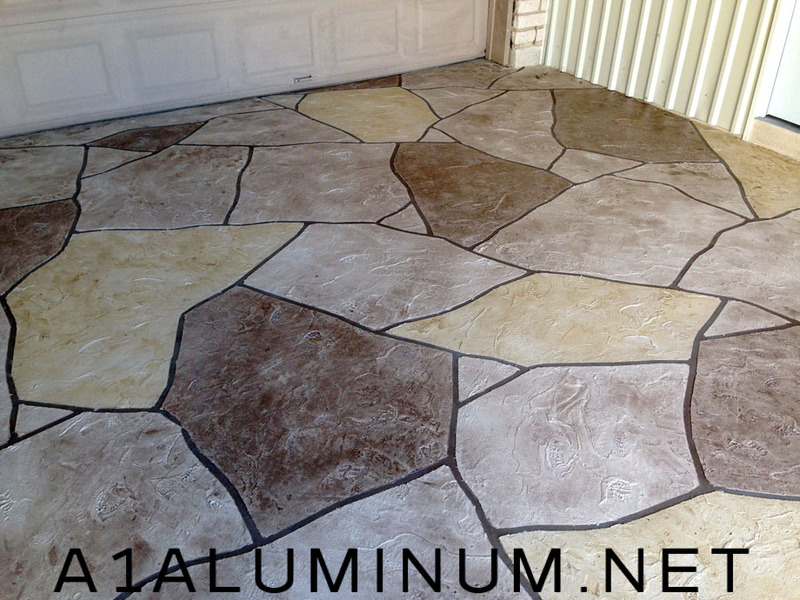 Sun Room, Cement Overlay and a Doghouse Too! Again in La Porte! This is the outside of the Sun Room from the previous post. 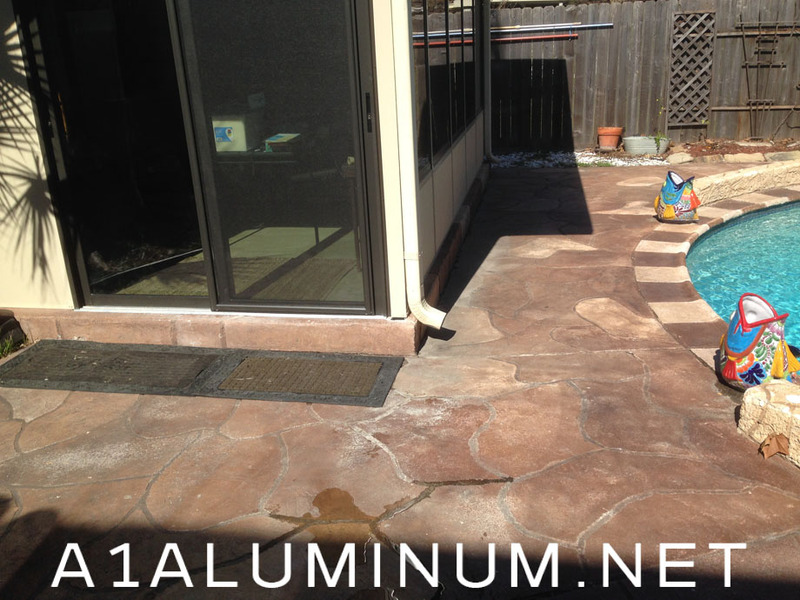 The cement overlay you see in the first picture is NOT the one we did. That would be the second picture below. And last but certainly not least, the doghouse. This is a 3″ Insulated doghouse. Our homeowner wanted to make sure his doggy stayed nice and cozy. It’s even shingled!